Our professions, businesses, backgrounds and cultures are diverse but we are united in our passion to share experiences and give back to our local and global community in a range of ways. 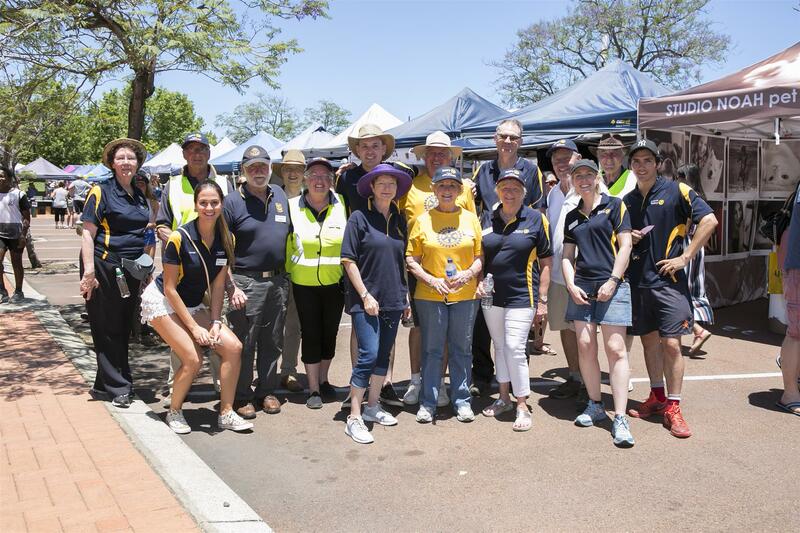 Rotary membership also provides more than just an 'opportunity to serve' - it also provides an opportunity to network, gain project experience and personal development opportunities and build enduring friendships. Applecross Rotary always welcomes new members and we would encourage anyone with an enthusiasm to develop and support a range of local community, national and international projects to try us on for size. If you're interested in finding our more please feel free to drop us an email. Visitors who may be interested in joining the Club are always welcome at any of the weekly meetings which are held at the South of Perth Yacht Club in Applecross. We meet on Tuesdays for fellowship from 7.00 am with the meeting from 7.30am to 8.30am. Meet the Applecross Rotary Legends.